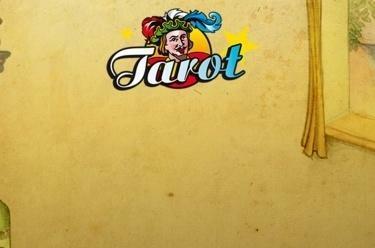 Play Tarot online for free now! Whether it’s card reading or the card game, Tarot has been very popular since the Middle Ages. Moreover, Tarot cards have gained in importance over the centuries – first in Europe and then across the world 🌏! Obviously, our Tarot variant does not focus on fortune telling and predicting the future. If you want to play this game as an online pastime and show your skill level, GameTwist is the right place for you. Before you enjoy free Tarot with other players, you might want to study the most important rules. The following text provides some valuable pointers to help you perfect trick taking in online Tarot. Playing properly made easy – the aim of Tarot! French Tarot is a challenging trick-taking card game that requires both skill and tactics. Knowing the Tarot card layouts can be a great advantage. Tarot has been known as the game of kings since the Middle Ages. It is played with 78 cards. Along with the classic Hearts, Diamonds, Spades and Clubs suits, there are 21 numbered trump cards – with 21 as the highest trump card and 1 as the lowest. There is also a special card called the Fool. French Tarot can be played in a team as well as solo. During a round, a sole player faces an opposing team formed by the other players. Everything can be turned on its head for the next round as the sole player becomes part of the opposing team and one of the former team members becomes the sole player. The aim of French Tarot is to win as many tricks as possible and have as many special cards as possible in the tricks. The declarer (winning bidder) aims to make the necessary points as set out in the contract. But watch out, for your opponents will do everything in their power to stop you with their drawn cards. And you also need a bit of luck to pick the right cards. As soon as you have begun playing our version of Tarot online you will quickly notice that players from every corner of the earth compete in diverse Tarot games! Given the popularity of this game in France, many of the players you come across will be French. In the game settings you can determine whether any player or just friends may join you in your Tarot game. Up to four players can join a game. And the coin stake limit is tailored to the skill level of the individual players. That way fairness is guaranteed. You will find detailed rules and instructions for this French card game under “Details”. Moreover, it is advisable to read up online about different card layouts, shuffling, the first trick and the highest trump. Only when you understand each card and its value will you be ready to start your game and chase the ultimate trick! If you would like to give more games a try beside this legendary card title – either as solo player or in multiplayer mode – you will find plenty on GameTwist. Especially game classics such as Solitaire, Chess and Pool draw in the crowds. The GameTwist slot section alone features several hundred titles. And when it comes to Roulette and Blackjack, you will most definitely find games that tickle your fancy. Online Tarot & Co.: unbeatable trick-taking fun! Whether you pick the classic Tarot or another game, we’ll keep our fingers crossed for you 👍. Show your opponents that you are a dab hand with the Tarot cards from the first to the last trick and that nobody does it better. Go in all with this card classic!